THE FARMHOUSE Happy February! Excitement is high around here with anticipation for Valentines Day. Okay, mainly it's just me, but my goodness how kids make this holiday fun! Valentines Day used to be little more than an excuse to buy a nice steak, but 3 kids later and it's one of my very favorite holidays. Our 4-year-old is getting into the spirit this year too. Valentines cards, sugar cookies, kind sentiments, extra snuggles, new bedtime stories, chocolate everything, and really so many excuses to bake with my little loves. Tell me I'm not alone! While we don't do much in terms of gifts on Valentines Day, I will get a new story for our kiddos to make bedtime extra special (thinking about buying them this classic this year). 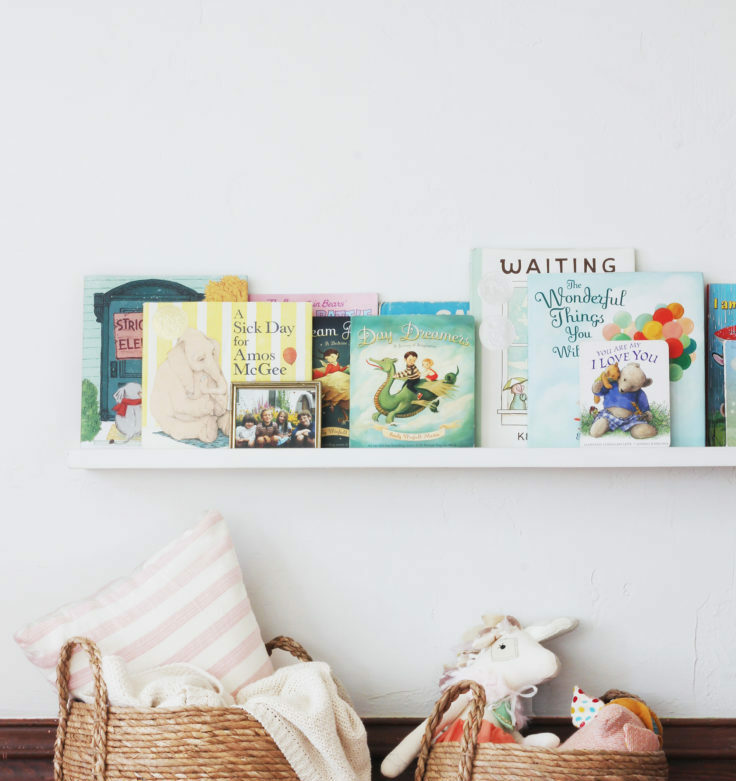 In case you're in need of a small gift for a little valentine of your own - or just looking to expand your collection - I've rounded up 10 of our favorite bedtime stories at the Farmhouse right now. The Wonderful Things you Will Be, Emily Winfield Martin // whimsical and fun, Ms. Winfield Martin ignites the imagination through what children can be. It's no surprise that this story made the New York Times bestseller list! A Sick Day for Amos McGee, Philip C. Stead (author) and Erin E. Stead (illustrator) // This Caldecott award winner is all about friends and being there for each other. The illustrations are beautiful and the simplicity with which the story is told gives kids' imagination room to thrive. Bonus: watch for tiny mice doing human things on every page. Strictly No Elephants, Lisa Mantchev (Author),‎ Taeeun Yoo (Illustrator) - a boy, an elephant, and the pet club that doesn't want them. This fun story is all about acceptance (a narwhal...a skunk!). Berenstain Bears' Bedtime Battle, Stan Berenstain (Author),‎ Jan Berenstain (Author) - I bought this on the advice of my sister-in-law, and it's great for those occasional (or frequent) bedtime battlers! I grew up with the Berenstain Bears, so it's been fun to introduce my kiddos to them too. Dream Animals and Day Dreamers, Emily Winfield Martin // An adventure into the land of waking dreams and a bedtime journey atop the backs of imaginary animals. This is the sweetest boxed set I think I've ever seen! Waiting, Kevin Henkes - a Caldecott award winner all about waiting for marvelous things to happen, which might just be the most basic of things. In an age of constant connectivity and busy lives, I love the slow pace of this book. Rosie Revere Engineer, Andrea Beaty (Author),‎ David Roberts (Illustrator) - get this book! Rosie is a creative and passionate engineer who has to get past failures and being laughed at along side her friend's Iggy Peck Architect and Ada Twist Scientist. These are all great primers for creativive expression in children. You Are My I Love You, Maryann Cusimano Love (Author),‎ Satomi Ichikawa (illustrator) - a classic tale about the love between parent and child. This is an especially great gift for Valentines Day or a new parent! I am a Bunny, Ole Risom (Author),‎ Richard Scarry (Illustrator) - a richly-illustrated tale of a bunny named Nicolas as he lives through the seasons. My 2-year-old loves this one, I think because of the beautiful colors. Occasionally I like to share a list like this with you guys, because even though kids books have little to do with renovations or old homes, they do have a lot to do with living well in a home. At least we think so. Any bedtime stories you're loving at the moment? Leave them in the comments so we can check them out!